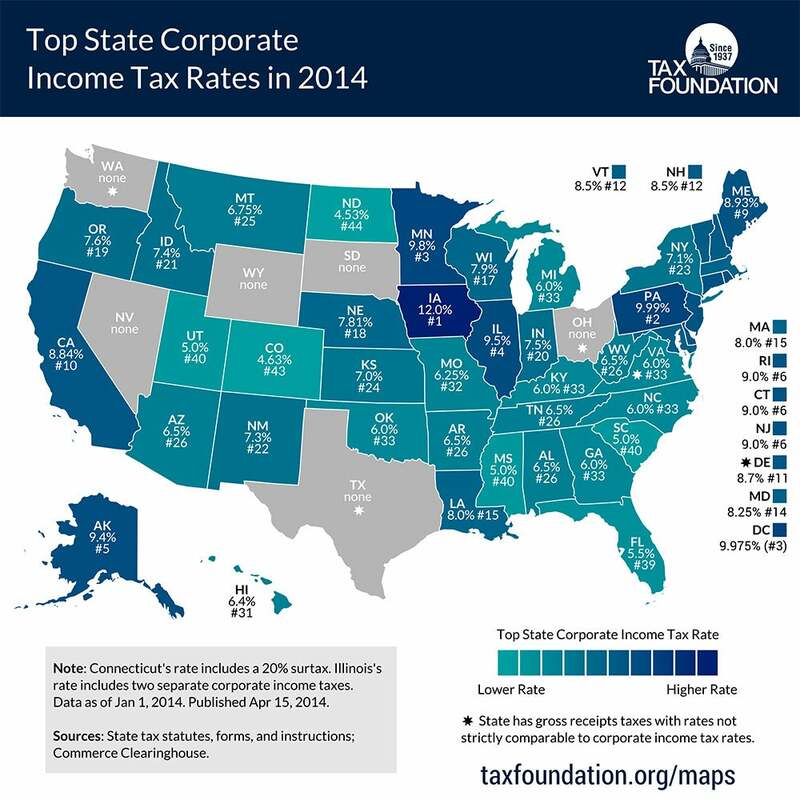 While business owners often grumble that America boasts some of the highest corporate tax rates in the developed world, an infographic compiled by the Tax Foundation -- an independent tax policy research organization -- shows that state-to-state rates vary rather drastically. Six states levy no corporate income tax at all -- though, of those, Ohio, Texas and Washington offer gross receipts taxes, or a tax on total gross company revenues, instead. From this perspective, business owners residing in Nevada, South Dakota and Wyoming may get off easiest, having to pay neither kind of tax, according to the organization. But who’s the worst off? Iowa, at the top of the list, levies a corporate income tax rate of 12 percent -- though it does allow for deductibility of federal taxes paid, according to the foundation. Iowa is followed closely by a 9.99 percent tax in Pennsylvania, 9.8 percent in Minnesota, 9.5 percent in Illinois and 9.4 percent tax in Alaska.